Spectacular Grand Parlor Duplex with Deck & Courtyard! Striking New Residence meticulously renovated by highly respected developer! 2100+/- SF! Remarkable Open Living, Dining & Kitchen all in one impressive space! 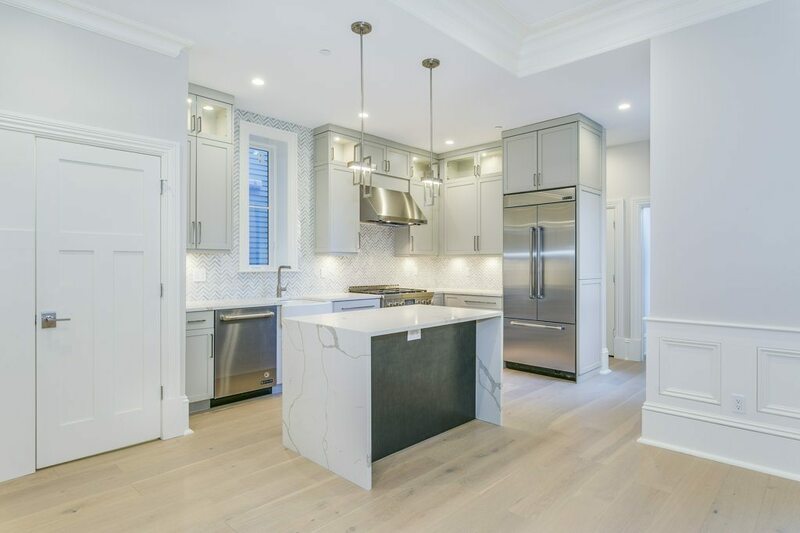 Pristine Design elements, Statuario Quartz countertops and Herringbone backsplash to the Ceiling! Cirrus main cabinets w/Charcoal island! Exquisite Finishes! Lavish spa baths are a combination of Italian porcelain & natural stone mosaics! Wall mounted vanities with custom white quartz sinks & tops! All with frameless glass shower doors! 3 Oversized Bedrooms, 3.5 Baths, (2 Bedrooms en suite) Embracing Media Room & Office Alcove! Towering Ceilings with Ornate Cornice Moldings! Custom Light Fixtures! Gas Fireplace with circa 1850 Marble Mantel! Smart Home system by Control 4 & Building 36 & Triad Sound System! Mahogany Deck to Bluestone patio with built in seating area & natural gas infravaction grill! A Truly Impeccable Home!